Every year, January starts the National Eye Care Month. Although January has already slipped by, and we are ending out February, doesn’t mean you can’t start a happier healthier lifestyle! There are several ways to ensure a year of good eye health – today, we are going to look at the top three. Annual Exams. 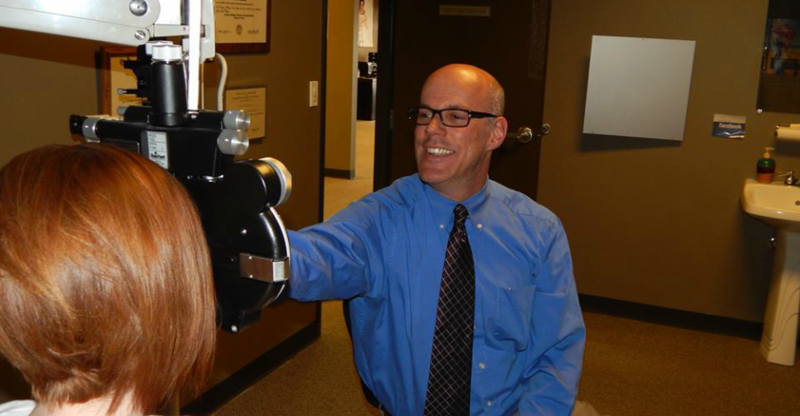 If you have been reading these blogs, which I hope you have, you know how important an annual eye exam is! I know it is SO easy to push it off, but it is so important to get checked out by an eye doctor each year. WHY?! There are so many reasons! There are a TON of untreatable eye disease that can be helped only by early detection. So an annual exam may be the difference between blindness and vision. WHY ELSE?! In case you need an additional reason to visit us, other than being able to see J – many people do not even know their vision has changed. Especially if you have never visited an eye doctor or you have not been in several years. You may have headaches you are ignoring, dry eyes, or blurred vision you have adjusted to. In some cases, waiting can make the situation worse or even create an untreatable eye disease. So DON’T WAIT! Call us today so we can help improve your day to day life with just one exam! So contact us today for an appointment, we are even open evenings and weekends! Maintain Your Eyes. Living in Colorado is amazing. For example, we have had record breaking heat (averaging almost 50 degrees per day, in Colorado, in February)! Snow or no snow. Sun or clouds – UV rays are always beaming through the sky ESPECIALLY in sunny Colorado. UV rays have been shown to increase eye diseases such as cataracts and macular degeneration. So it is crucial to wear sunglasses all year round. Check out our selection of Ray Bans if you are looking for prescription sunglasses. Something else to help stay away from those risky eye diseases is to look at your screen exposure. Most of us are getting more than we have in years past, so if you are looking for a recommendation on lenses to help ease the stress of your eyes, ask us! We can help you find the right lens. Additionally, check out my blog on keeping the strain off your eyes. Sign up for insurance. I know that vision insurance can seem like something you don’t normally sign up for, but it is so helpful! When you have insurance, your exams are less expensive and often times you’re able to get additional coverage for help on your contacts or lenses. Several times we can see multi-focal glasses reach above $1,000 for patients without insurance. So it is important to enroll or take advantage of discount programs to ensure the treatments you need to care for your eyes are affordable. Again, your eye sight is SO important to ensure you are making it a priority with your other resolutions this year!